An unforeseen peril overshadows the kingdom. The monarch calls upon the worthy knight to expel the darkness from the land. The Galahad Steel Tassets guard your mighty limbs while you discover the evil source and set things right. 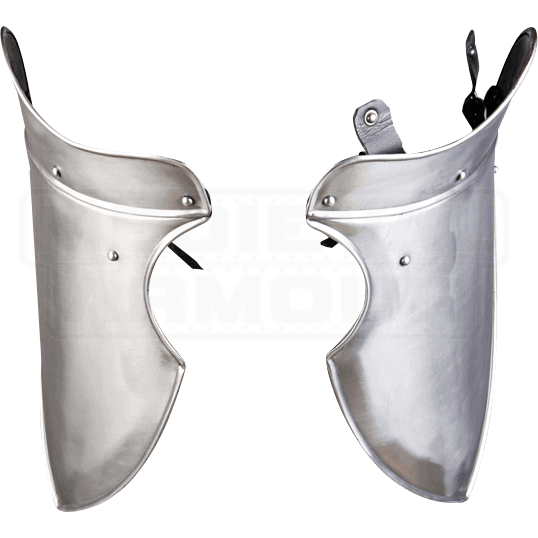 The traditional style and strength of these upper thigh guards is perfect for LARP adventuring. Rivets and detailed edging contribute to the medieval theme. 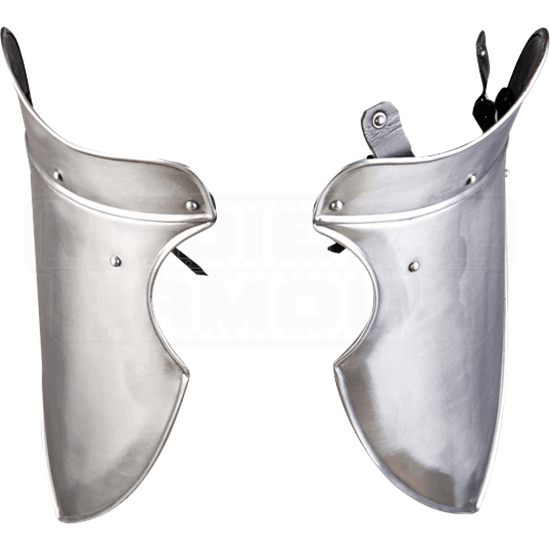 The two buckle straps of each tasset provide easy attachment to body armour. Reinforce a strong defense by wearing this leg armour over padding and chainmail. These tassets match well with the Galahad Steel Spaulders.